According to the outcome of the poll taken in late March, the Reform Party is supported by 32 percent of voters, compared with 29 percent at the general elections on March 3 and by 30 percent in a similar survey in mid-March. The Center Party meanwhile has seen its approval rating drop to 17 percent from 23 percent in the elections and 19 percent in mid-March. This puts Center in third place behind the Conservative People's Party (EKRE), which has been the choice of 18 percent of voters on all three occasions. Support for the Social Democratic Party (SDE) stood at 11 percent in the poll taken in late March, having been 10 percent at the elections and 13 percent in mid-March. The rating of Isamaa at the end of March was 7 percent, nearly 3 percentage points lower than at the elections. 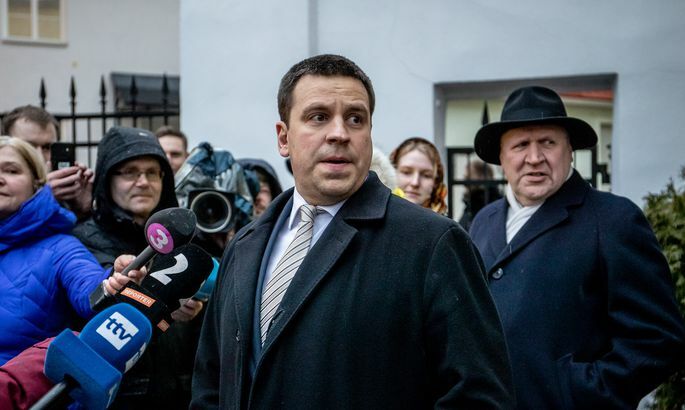 Estonia 200, which failed to cross the 5 percent vote threshold in the elections by one percentage point, was the choice of 10 percent of voters at the end of March, up from a level of more than 8 percent in mid-March.